With any anterior case it is important to master the esthetics in the treatment planning phase in order to provide the patient with their desired cosmetic results. 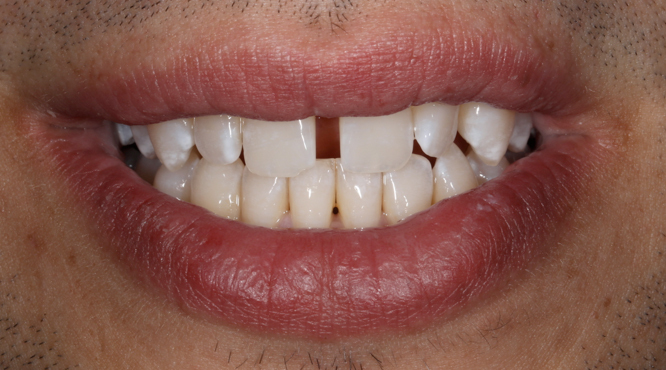 Patient CJ was presented with a diastema, and case goals were to deprogram and regain anterior guidance, while moving the midline to close the space. 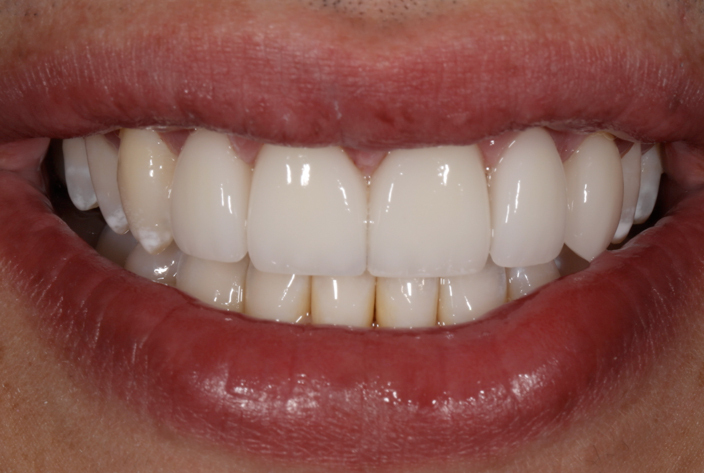 To achieve these aesthetic changes, the patient used an anterior deprogrammer and night time parafunction appliance for two weeks prior. Dr. Mike Smith chose to do minimal prep veneers on teeth 7-11 to perfect esthetics and provide functional correction for the patient. Final restorations were fabricated by Gold Dust Dental Lab in Empress. Beautiful cosmetic dentistry by a great dentist and colleague! Drs. Mike Smith, Lee Ann Brady, John Nosti and Jason Olitsky facilitate an amazing 2 day workshop. Learn a predictable Treatment Planning System with LIVE hands-on treatment planning at Clinical Mastery’s Advanced Treatment Planning Workshop. Next date September 11, 12th 2015 in Phoneix Arizona at the Phoenician.